Tadi… Saya mencuri masa pergi ke nursery lagi.. Heheeh..
Di sebabkan benih bunga yang saya tanam last week sudah bercambah, semangat untuk menyemai makin menjadi-jadi! Dan saya label setiap pasu tu..
Ini hasil semaian last week. Sudah bercambah tapi masih terlalu halus..
Big Bang – Monster playing over & over.. These pouches are made of oil cloth, YKK zipper (most trusted brand) but without lining (the fabric inside). But the oilcloth itself are neat and sturdy even without the lining. And these are what you can do with these pouches..
Selalunya, kalau on my 2nd day shift, malam tu sengaja tidur lambat sebab the next day kerja night shift so boleh bangun lambat. Biasanya aktiviti malam ialah menjahit. Muntah nya keluar seperti air yang keluar dari fire hydrant..
…to make it worst, on our bed!!! Saya pun tidak tau lah apa yg di anaiii-anaii kan, tapi, muka Ariana sangat sihat dan ceria! So I made 2 yesterday. Twirly skirt! I used designer cotton, which I forgot the name -_-” and laces. I love laces! This time I tricked Ariana by asking her to get my phone on that table. Heehhe. Ok. That’s it. Tonight I am going to cut out materials for this month’s bag order. 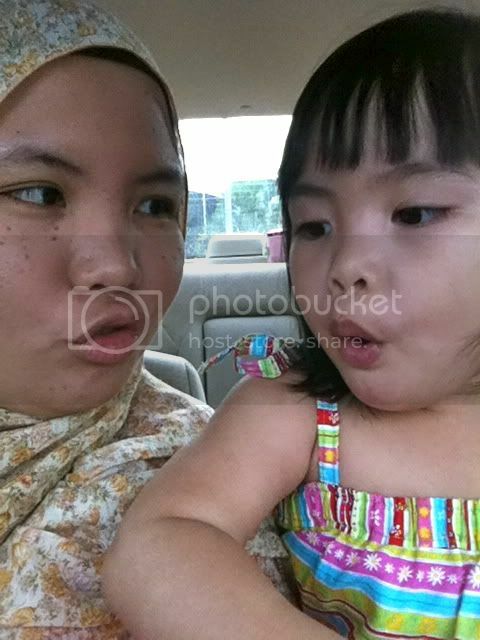 Anyway.. when her ice cream is almost finished, she said to me, ‘Thank You Mommy’ and I was touched by her sincerity T_T. You see, she only thanked me after she ate the ice cream. My thought was, she was thankful to me for giving her that yummy ice cream. Awwww. She knows how to appreciate things! I volunteered my self to be one of the pattern tester for Popolok Design , owned by Alviana from Sewn By Alviana. What I like about her pattern, it was well explained, clear instuctions with the help of pictures! Ok. So here’s my Avita Dress, modelled by our in-house model, Ariana. I used size 4 years old for Ariana’s. This morning, there was a big spider at the living room..
Then I took a ridsect and kill kill die die the spider. Punya Ariana teriak. 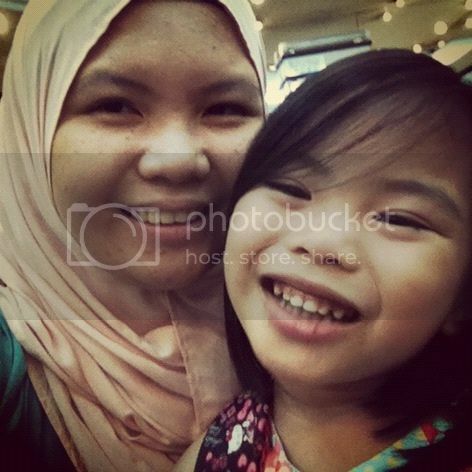 Ariana : No mommy *mumbling* dont touch *mumbling* spider bite *mumbling* akitttt..
Then we sent her off to school and went to Tabung Haji to bank in Ariana’s duit tabung.. The pen that I used there was leaking and I have blue ink on my 3 fingers. Btw, this is the mentioned spider.. So yesterday, I was bored.. Started browsing the app store..
Found 1 good apps and it’s free! But because it was too good, but free, there are limitations.. Need to purchase to get their full function..
…and this was my first work using this app! …and this is my second work!